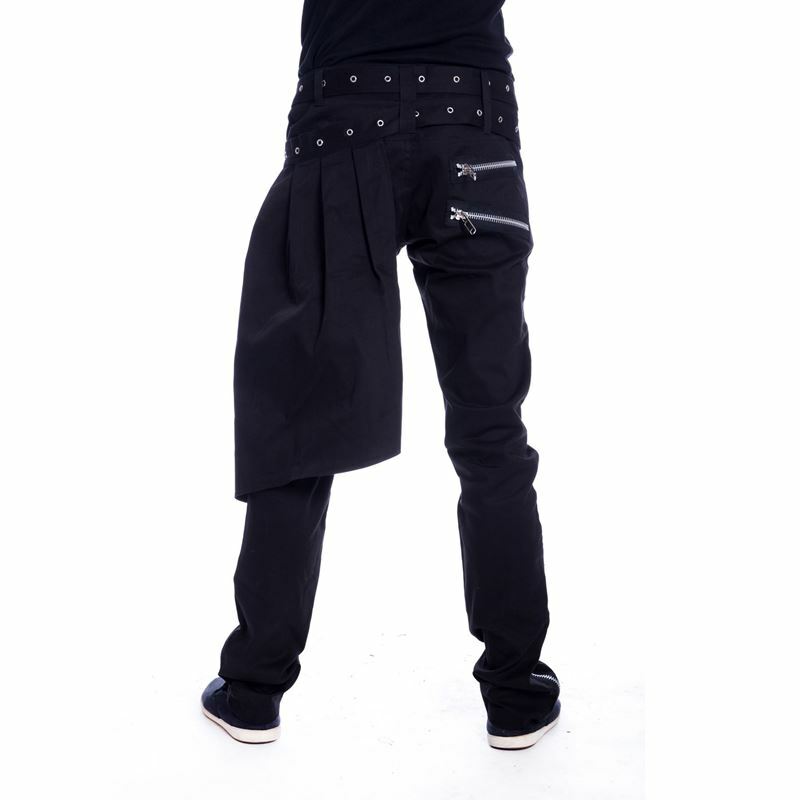 Alternative slim fit style black trousers, made from stretch cotton. Waistband with button fastening and belt loops. Visible fly zip and 2 adjustable belts. Decorative zips to front of trousers. Detachable half kilt. Zip pockets to back of trousers.